Ball valve balls - up to 10"
75% reduction of cycle time. 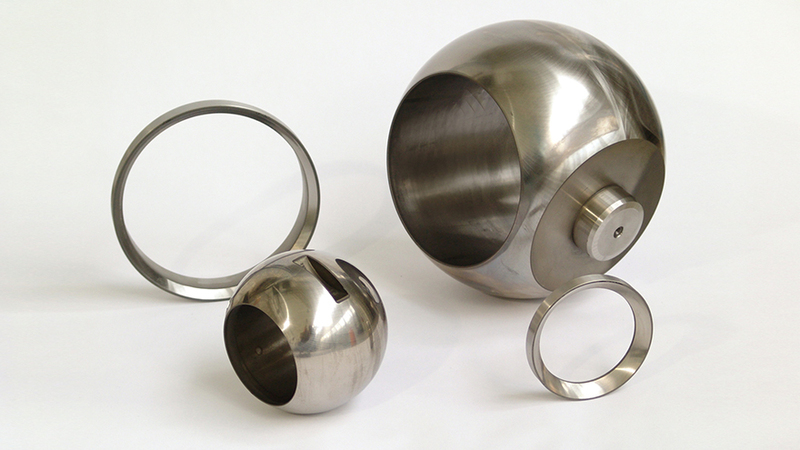 Flexibility for various ball and ring sizes. Reduced shop floor space, two machines in one. Grinding with OD wheel for maximum speed & flexibility. Grinding with cup wheel for maximum accuracy. HVOF and Spray & Fuse coating. High precision IRD grinding machines with integrated rotary axis in the workhead base. Natural granite bed for excellent stability. Direct driven technology in all linear and spindle turret. Measuring probe for axial and radial measurement. Special measuring cycle to align the ball.